In Haiti, only the well-to-do are able to officially get married. In the Haitian culture, a couple does not marry until they are able to have a real celebration and for most rural Haitians, that is just not possible. 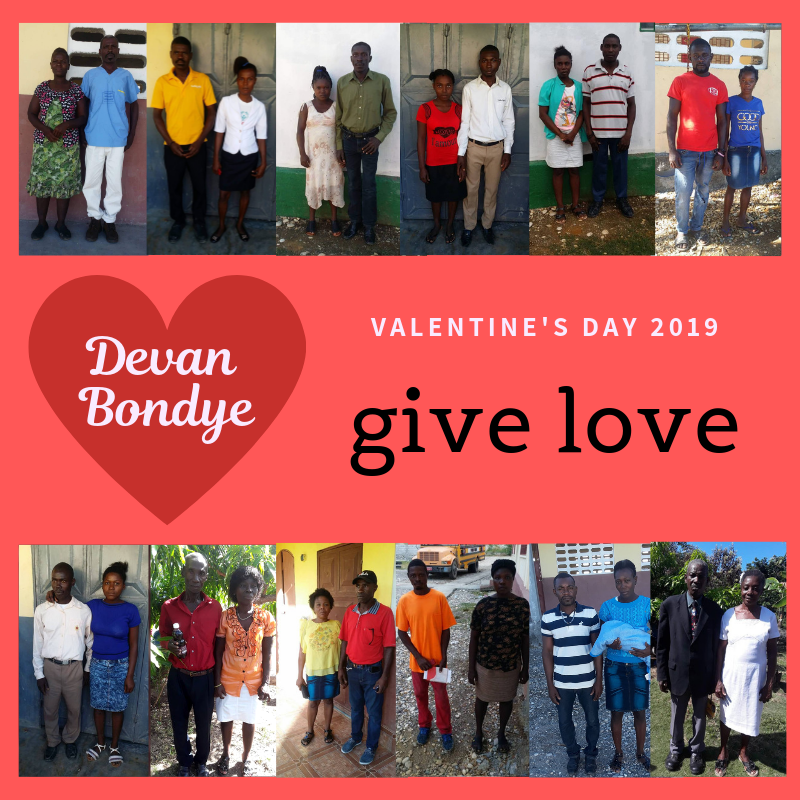 There are 27 couples (12 pictured above) who have become Christians and attend either the Emmanuel Church or one of the 7 mountain churches that Pastor Honore has planted, and these men and women would like to be married in church - DEVAN BONDYE or "Before God." At Emmanuel's Grand Convention in March, Pastor Honore plans to marry these couples all at once in our church! Many of these couples have been together for years, many have children and all want desperately to be married in God's eyes. It will take $250 per couple to cover the cost of renting or buying second hand wedding gowns and suits and purchasing rings. These gifts will not only solidify a Haitian family, they will strengthen these churches and help us live out our goal of boosting the Jeremie economy by "shopping local." Good in so many ways. We are hopeful we will be able to see all 27 couples married! Please pray for these couples, for this wedding effort and for Pastor Honore, who wants this so much for the families and churches represented by these couples. Thank you!